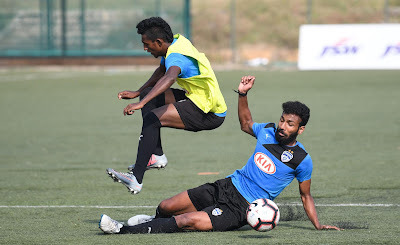 Bengaluru FC are set to host Hindustan FC in their first home game of the Hero 2nd Division League 2018-19 when they face off at the Bengaluru Football Stadium today. “Hindustan FC have a lot of new players and it takes time for players to gel. After two games, they will definitely be in better shape and have an understanding of each other. They will be aware of the strengths and weaknesses of their team and will definitely try to come back stronger at us. I don't want my players to be casual in any game and certainly not on Friday. Winning or losing is part of the game, but it's important that they stick to our plan and enjoy the football,” added Moosa.